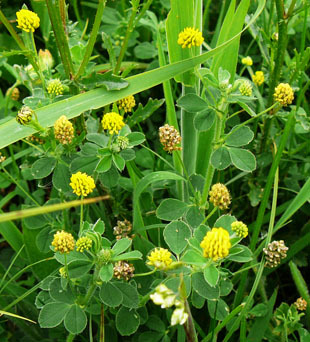 annual herb, growing up to 25cm. 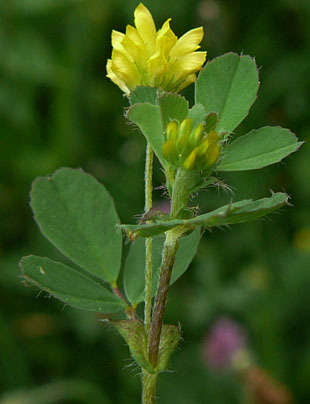 such as inlonger grass, it is more erect. 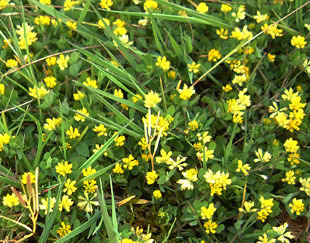 Flowerheads are yellow and small - up to 4mm across. 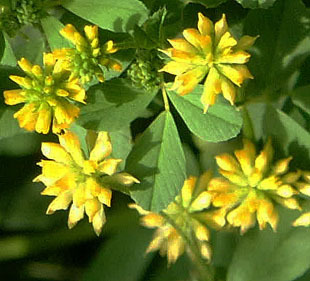 There are up to 20 flowers per flowerhead. Fruits (pods) are egg-shaped with a beak. They are covered with dead flowers when ripe. 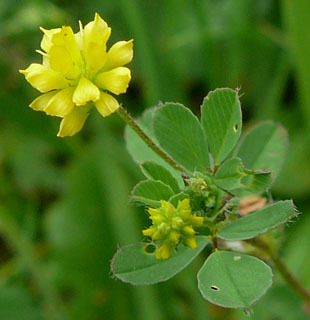 Leaves are trefoils and the leaflets are notched. 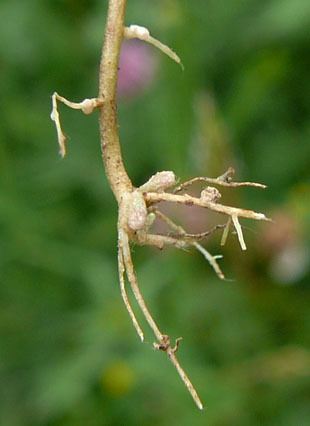 The terminal leaflet has the longer stalk.